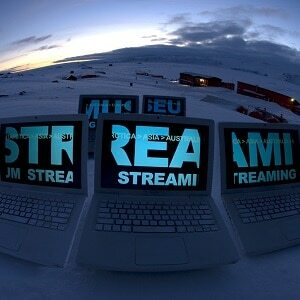 Video streaming services offer great opportunities to watch the best entertainment from around the world. Getting access to these on-demand TV channels gives you an opportunity to stay in touch with the shows back home while you are abroad. However, for a long list of reasons, streaming services don’t let people access their content from other countries. Many streaming services require a subscription – Netflix and HBO NOW are two examples. However, if you happen to travel or move abroad during your subscription period, you will find that you are unable to continue accessing those sites. That seems a little unfair, because you should be able to get what you paid for, no matter where you are. These blocks on access from other countries are called regional restrictions. You can circumvent them with a Virtual Private Network (VPN). Another complication when accessing streaming services arises from the actions of your Internet Service Provider (ISP). These days, most people get their internet access from big corporations, and many of those companies also offer streaming entertainment subscription services. They don’t want you paying their competitors, so when they detect that you are contacting the site of a rival company, they slow down the connection to the point that the video stutters and pauses during playback. In these circumstances, customers often blame the streaming service. That is exactly the situation that the ISP is trying to create. When you access your favorite streaming service through a VPN, the ISP can’t detect the true destination of your connection, because all of the messages that travel through the ISP’s equipment have the VPN server’s address on it. The VPN mediates your connection with the streaming server, so no one can tell which site you are connected to by reading the routing information in the packets. Many governments don’t want the people in their country accessing foreign streaming services – especially those that deliver news programs that might not give the version of the truth that repressive regimes would like their people to hear. Disguising your connections with a VPN also defeats these government blocks on media access. ExpressVPN ends up the winner in most VPN comparison reports because the company goes a little bit further than the competition in every aspect of the service that it delivers. For example, you can see from the comparison chart above that ExpressVPN has the largest server network of our top five. It also gives a thirty-day refund guarantee, which only Buffered and IPVanish match. In addition, its network is incredibly fast – only IPVanish comes close to it for speed. The encryption systems used by VPNs are complicated, but all of the candidates in our list use 256-bit key Advanced Encryption Standard (AES) encryption and prefer OpenVPN methodologies. Encryption relies on the distribution of common keys. An engineer from Google discovered that this was a weak point in the security offered by VPNs and that the Chinese authorities can crack this stage of session establishment, giving them the ability to read all subsequent communications. On learning this, ExpressVPN immediately increased its security by implementing uncrackable 4096-bit RSA encryption for key distribution. It was closely followed by VPNArea in implementing this policy, but the others on our list still haven’t ramped up key distribution procedures to lock out Chinese state snoopers. So, if you are in China, ExpressVPN is your best bet for accessing banned streaming sites. Additionally, not every VPN on our list can get around the Netflix proxy detection system, but ExpressVPN can. Given that ExpressVPN wins hands down in every comparison as a VPN for accessing streaming services, you might decide to read no further and just go off and sign up for that service. However, the excellence of ExpressVPN comes at a price. If you just can’t afford to pay out so much, then you need to look at the other VPNs in our top five list. You should work out which of them has the specific qualities that you need in order to get the best streaming access from your location. For example, one of the great features of ExpressVPN is its ability to avoid detection by governments and ISPs. If you need that ability, but can’t afford to pay for ExpressVPN, then try VyprVPN. 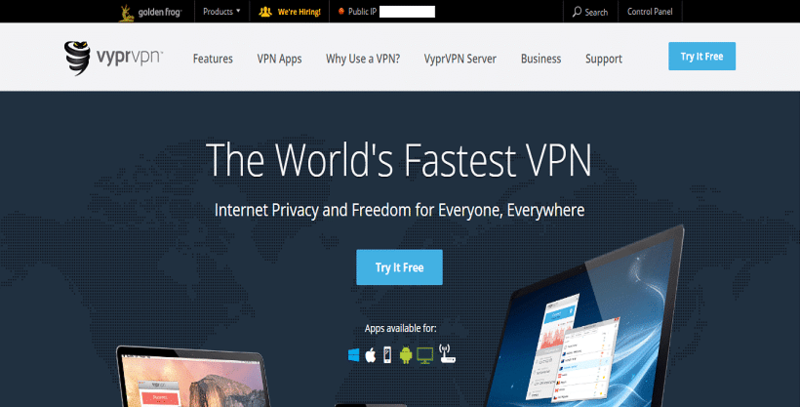 VyprVPN is owned and run by net privacy activists who have strong technical capabilities. These two priorities resulted in the development of Chameleon, which is VyprVPN’s cloaking methodology. It works to avoid detection by governments and ISPs. You can try out VyprVPN for free for three days before your account gets charged. Make sure that you give it a good test during that period, because they don’t give refunds after the trial period has expired. That detection evasion is important for streaming, because it also carries you around VPN detection systems employed by entertainment websites. The only competitor on this list that can match ExpressVPN’s network speeds is IPVanish. The company invested in its own infrastructure and specifically calibrated it to be optimized for a VPN service. There are no service agreements or outsourcing involved in the IPVanish VPN. The company runs all of its servers, and even has its own cable. This is the only Tier-1 network on the market – that means that the company connects directly to every network on the internet without having to cross networks owned by other companies. Given that IPVanish is cheaper than ExpressVPN, you are probably wondering why the whole world wouldn’t plump for this service rather than its more expensive rival. Well, it is not all good news. For one thing, the company is based in the United States, which could make it vulnerable to court action to force it to reveal details of its customers’ activities. This could expose you to copyright infringement law suits, because cross-border access to media transgresses usage agreements. However, IPVanish is adamant that the company does not keep activity logs. On top of that, IPVanish isn’t quite as good at avoiding detection. Netflix can spot it and blocks it. This bodes ill for those who also need to evade detection by ISPs and repressive regimes. Buffered has an unfortunate name, because the one thing you want to avoid with streaming is buffering (where the video stops playing and the media player gives you a message saying that it is downloading more data). Generally, live services like Voice over Internet Protocol (VoIP) or streaming work better without buffering. That said, Buffered doesn’t provoke buffering. Buffered is not as fast as IPVanish or ExpressVPN. However, the service has one big advantage over IPVanish because it is based outside of the US. The US produces great entertainment and the media is a huge industry there. Copyright infringement has become a much bigger issue in the US than anywhere else, and US lawyers are the most persistent litigants in the world. If you use methods to bypass controls on media access, you are technically damaging the rights of copyright holders. If you also like to download entertainment with torrents, then you really should keep away from US-based VPNs, just in case. On the downside, Buffered doesn’t have a very wide server network and its detection avoidance methods aren’t good enough to get you into Netflix. As soon as VPNArea hears about an issue in the VPN industry, it pours resources into mastering it. Access to Netflix is an example of this. Even though this service is the cheapest on the list, the VPNArea management threw the kitchen sink at beating the Netflix VPN ban. There are only a handful of VPNs in the world that can do this, and VPNArea is one of them. It can get you into Netflix for the US and the UK. Generally speaking, if a VPN can get you into Netflix, it can get you into every other streaming service in the world. Refer back to the description of ExpressVPN above and you will see that VPNArea is the only other VPN service that matches ExpressVPN’s 4096-bit RSA session establishment encryption standard. This explains why VPNArea is also one of the few VPNs in the world that can get around the Great Firewall of China with ease. If you found this review after a search of the web, you’ve probably already experienced difficulties in getting into streaming services, especially those located abroad. Well, the solution is at hand. All of the VPNs in our list are great for getting you past the regional restrictions of media sites. Some streaming sites require proof that you are in their country. They get that proof from your IP address. Every computer connected to the internet has to have a unique address. Unfortunately, the Internet Protocol, which specifies the format of the IP address, includes a country code in the identifier of each connected computer. This is how streaming services know where you are. If you select a VPN server in the same country as the streaming server you want to access, your request will arrive with the VPN server’s IP address on it, and you will get in. Unfortunately, a lot of streaming services now put work into detecting and blocking VPN traffic. Your chosen VPN has to work hard to continually adapt to these VPN detection measures and defeat them. Every person is different. This means there isn’t really an “average” consumer, making it difficult to name THE best VPN to suit everyone. That is why this review includes five VPNs that you should try. If you want to get access to American or European streaming sites from within China, Iran, or Pakistan, then your choice is limited to ExpressVPN and VPNArea. If you need high speeds, then limit your search to ExpressVPN and IPVanish. If your priority is protection from copyright litigation, then avoid IPVanish and try out the other VPNs on this list. Make the most of the free trial of VyprVPN and the money-back periods of the other VPNs to try out each of these services and see which works best for you.